My snacking habits have gotten a bit out of hand lately. There were a bunch of concessions snacks left over from our fundraiser that I went a little crazy eating. It’s been easy grabbing something pre-made and snacking on it in the afternoons while I worked, but after a few weeks I noticed my waistline was increasing. So when I sat down to do my meal plan for the week, I penciled in a new snack recipe that only required a handful of ingredients and allowed me to experiment with some new flavor combinations. 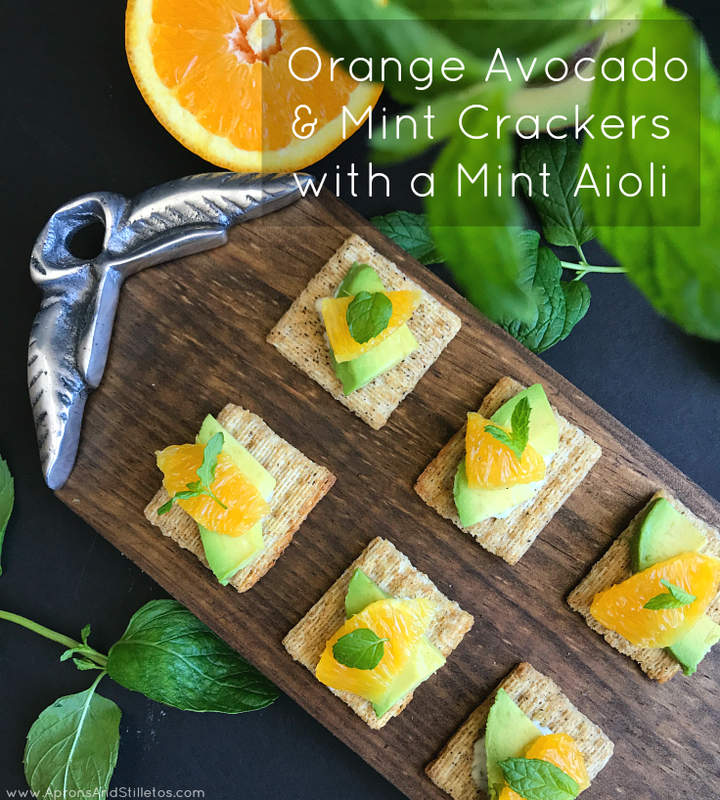 This (Orcadomintscuit) Orange, Avocado & Mint Cracker with a Mint Aioli recipe is flavorful and easy to make. It starts with flavorful TRISCUIT Cracked Pepper & Olive Oil Crackers and ends with fresh mint. What happens into between those two layers is mouthwatering magic and again, I promise it’s super easy to make. Here’s what you’ll need. Prep Time: 5 min Total Time: 5 min Makes 6 servings, 2 topped crackers each. Mix mayo, lemon juice and minced mint. 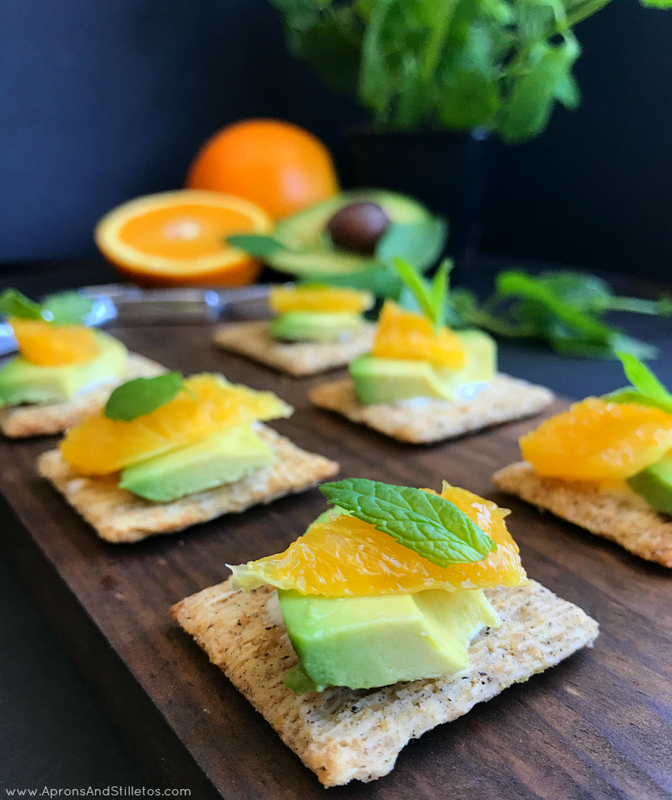 Top crackers with Mint Aioli then avocados. I used 100 percent whole grain TRISCUIT crackers for this recipe because they are low in saturated fat, and have several flavored varieties. 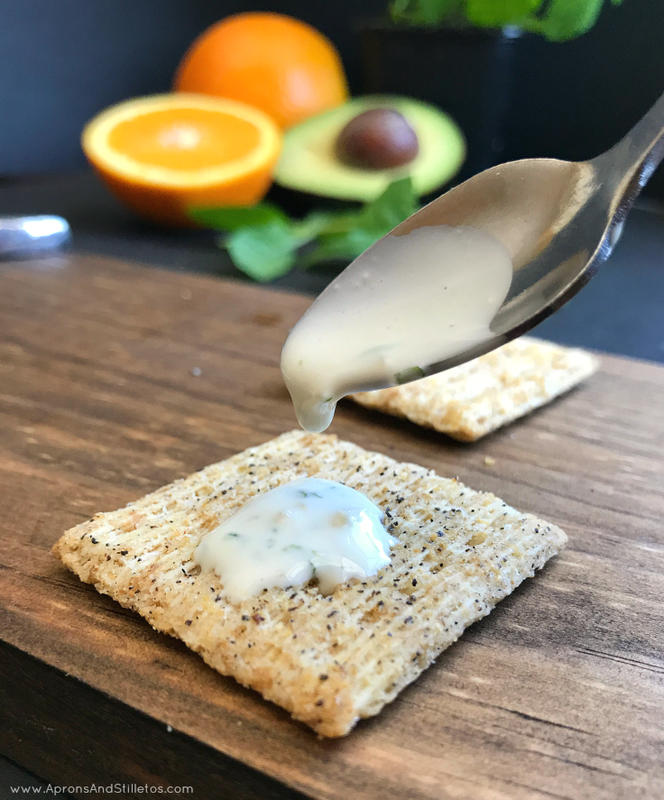 You can see the tiny bits of cracked pepper baked right into the cracker and can definitely taste it in every bite. TRISCUIT flavored varieties include cheddar, cracked pepper & olive oil, fire roasted tomato & olive oil, garden herb, deli-style rye, roasted garlic, thin crisps, and rosemary & olive oil. All of them are the start of recipes that will Make ‘Scuit Happen and cause a flavor party in your mouth. I found all of the TRISCUIT crackers flavors at Kroger on the snack aisle. 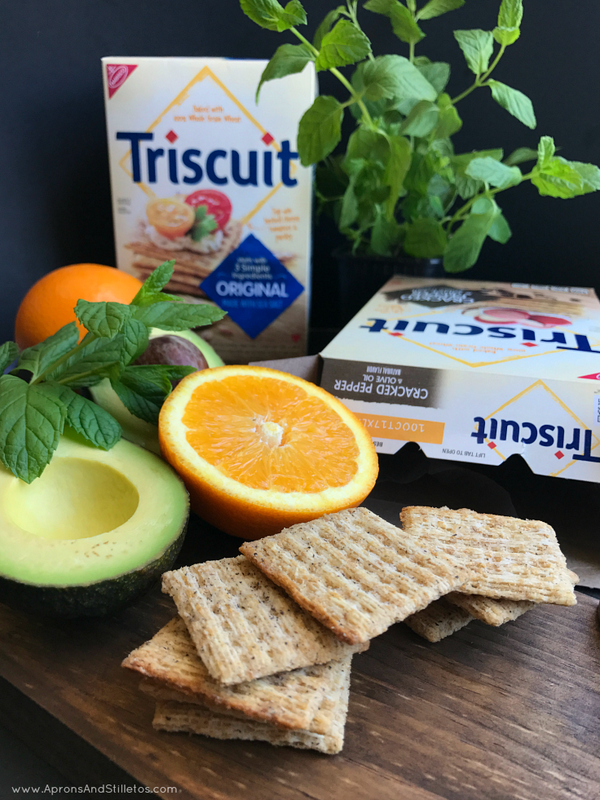 The next time you’re shopping, grab your favorite Triscuit crackers and top with a slice, a dollop, or sprinkle or your favorite toppings. They’re delicious any way! If this recipe inspired you, you’ll love these. And for more TRISCUIT inspiration, try these. These look amazing! You're such a pro with your pictures and writing. Some of these flavors you've been talking about lately just sound so tantalizing. These look so yummy! Perfect for a summer treat! Can't wait to try these soon! YUM!!!! 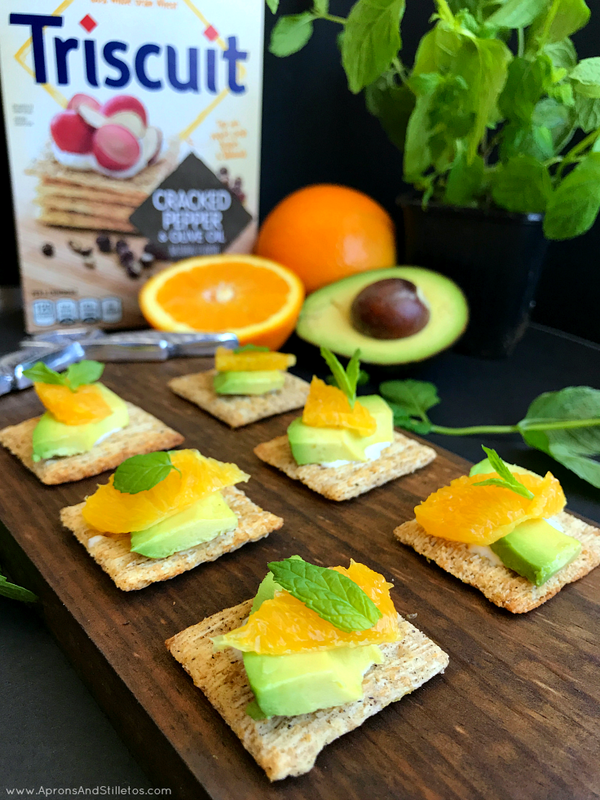 Love this unique flavor combination and who doesn't love these crackers! These would be great for a party. This is a great snack idea. 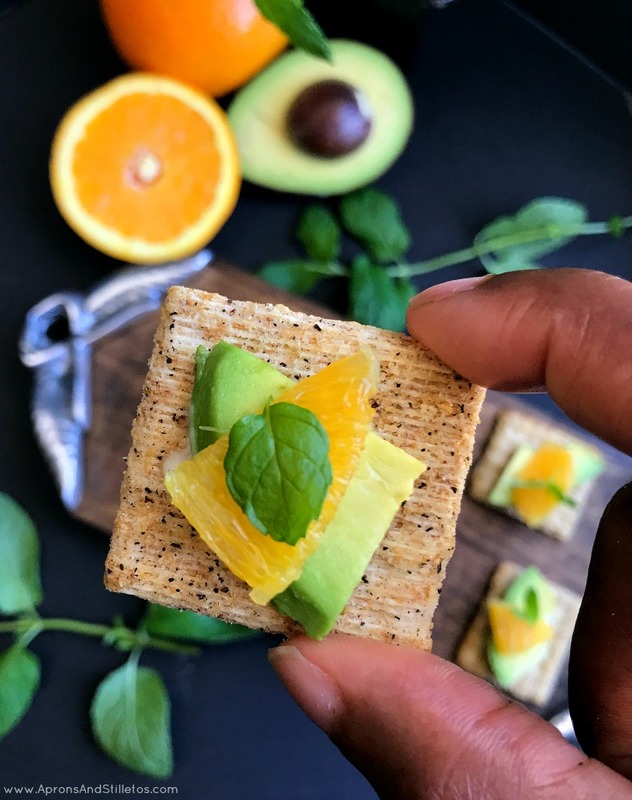 My daughter loves crackers, orange and avocado. I would never have thought to pair all of this together. I love it! What a refreshing appetizer or snack! I never would have thought of this combo! We're fans of Triscuit! it's a great snack. And this Orcadomintscuit (love how you named it!) looks awesome. Great way to serve it to company too. This looks like a great snack and pretty enough for an appetizer. Love avocado on anything. That is for sure a way to dress up a triskit! What a great snack idea and perfect for parties!